Another set of pictures taken quite a while ago, but ones that make a good summer weekend post. 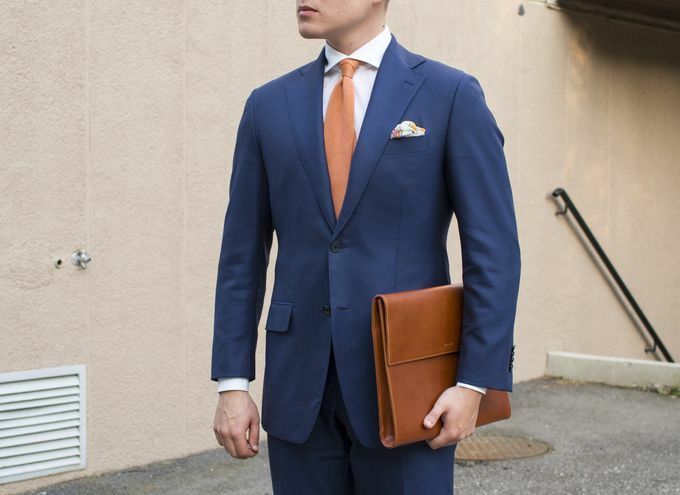 Blue lightweight wool, peach accessories, crisp white cotton, toffee leather and brown suede is what it's all about. 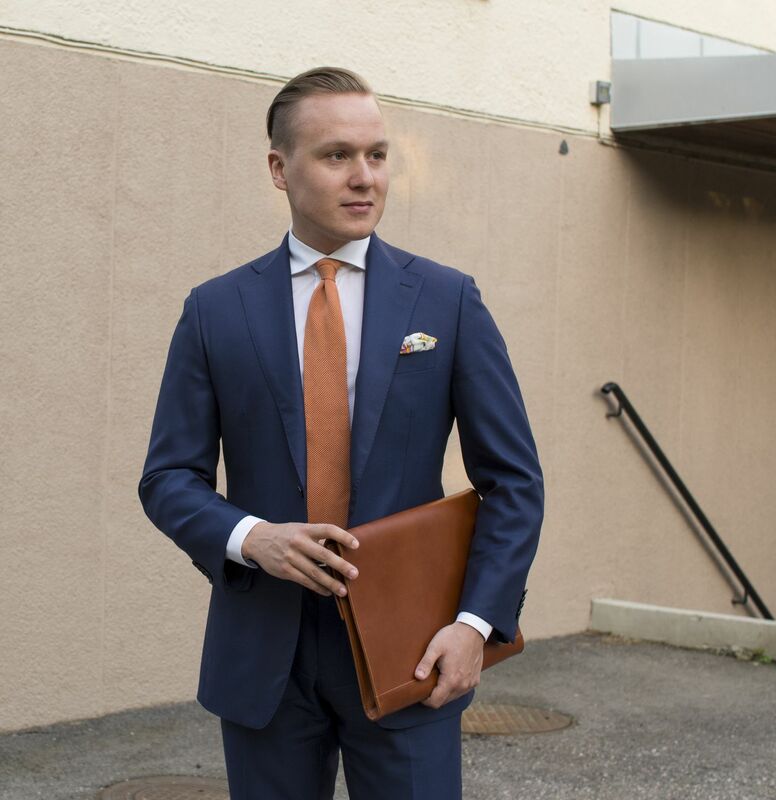 The suit is a made-to-order suit from Vaatturiliike Sauma (Aristoni fabric), shirt from Sonrisa, peach silk knit tie from Brooks Brothers, printed silk cotton blend pocket square from Drake's London, belt from Alden, socks from Berg & Berg, suede double monks from Carmina and leather portfolio from Berg & Berg. Slim, but not tight. 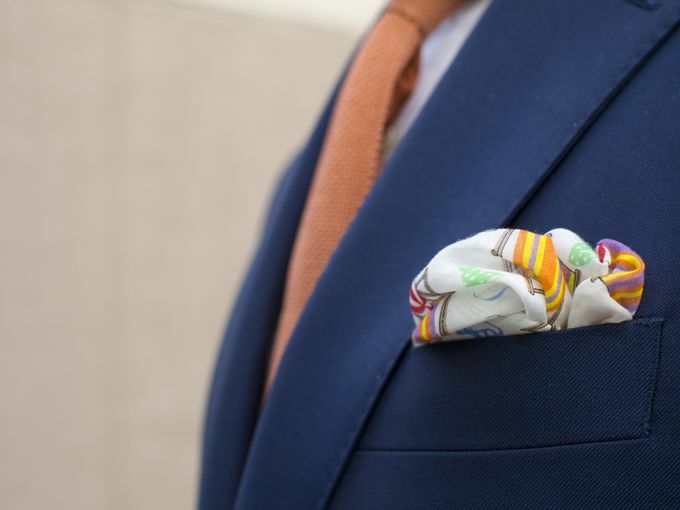 As a suit or any jacket should be. Peach knit tie and a peach theme print pocket square give the look a relaxed vibe. Going sockless would be ideal here, but most offices won't really allow that. 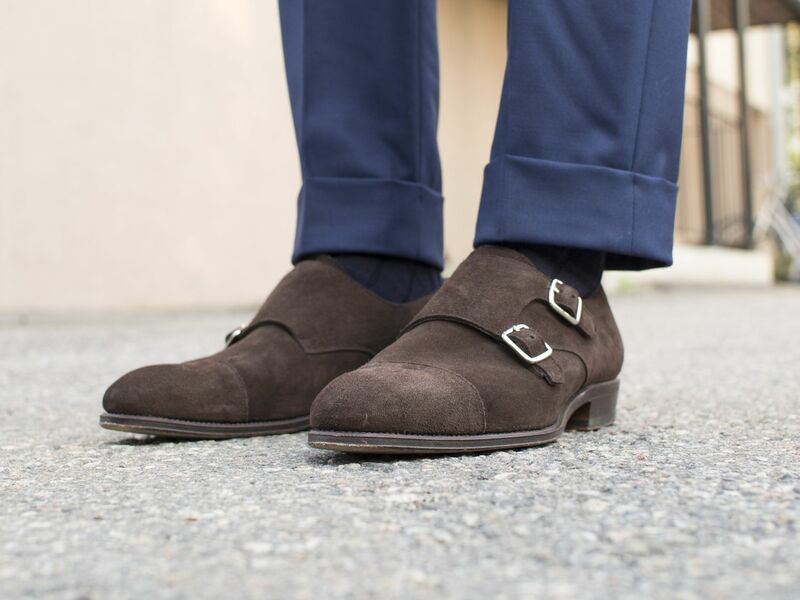 If they do, ditch the socks and go for loafers.